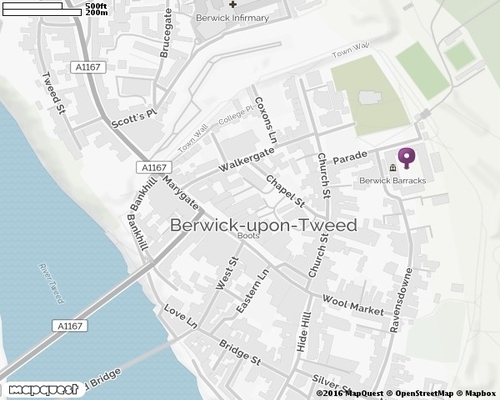 The map below shows the location of Berwick Barracks and the Museum. Berwick Record Office is situated in the Walkergate building, on the first floor alongside Berwick Library. It is essential that anyone wishing to view original documents should contact the Record Office in advance and make an appointment. 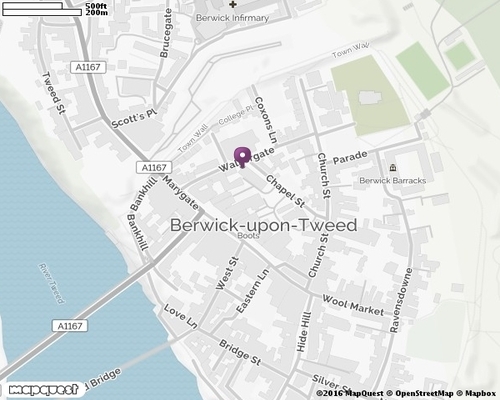 The map below shows the location of Berwick Record Office in Walkergate. Banner: Letter box © Albert Bridge and licensed for reuse under creativecommons.org/licenses/by-sa/2.0. Berwick Post Office (1950s), Woolmarket. © Berwick Record Office, Northumberland Archives. BRO 1250 199.